The world has just lost a giant in the theatre and film industry, Peter O’Toole. 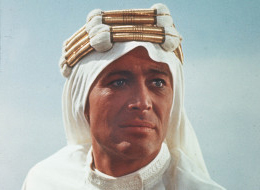 We mourn the loss of this leading man of prodigious talents, who received 8 academy award nominations beginning with the 1962 epic film, Lawrence of Arabia. The world would agree that he certainly deserved to win all 8 nominations. “I was very honored and privileged to meet him during my blessing of the cast and crew, of the movie, Molokai: The Story of Father Damien, says Kahu Silva. The 1999 film is the true story of the 19th century Belgian priest who volunteered to go to the Kalaupapa Leprosy Settlement on the Hawaiian island of Molokai. Father Damien, who was canonized in 2005, devoted his life to caring for the people afflicted with Hansen’s disease who were “exiled” to the “leper colony” as it was called then. According to Silva, “Peter and I had an instant connection and he asked me to assist with the blessing. I was happy to have him participate.”A kou (Hawaiian wood) bowl reported to be used by Father Damien, was furnished by one of the residents. Peter carefully held the bowl which I filled with Holy water and added his blessings during the ceremony.